Area: 2,040 sq. km. (787 sq. mi. ); 500 miles east of Madagascar, in the Indian Ocean. Cities: Capital: Port Louis (pop. 148,638). Other cities — Beau Bassin and Rose Hill (110,687), Vacoas-Phoenix (108,186), Curepipe (84,487), Quatre Bornes (81,773). Nationality: Noun and adjective — Mauritian(s). Population (2010 est. ): 1,283,415, including Rodrigues, Agalega, and St. Brandon. Density — 629/sq. km. Avg. annual population growth (2010): 0.4%. Education: Years compulsory: 11 (primary school). Attendance (primary school) — virtually universal. Literacy — adult population 84.4%; school population 90%. Health (2009 est. ): Infant mortality rate — 12.2/1,000. Life expectancy — male 70.53 yrs., female 77.65 yrs. Work force (2010 est., 581,300): Construction and industry — 26%; trade and tourism — 20%; agriculture and fishing — 8%; communication — 7%; finance — 6%; other — 33%. Branches: Executive: president (head of state), prime minister (head of government), Council of Ministers. Legislative — unicameral National Assembly. Judicial — Supreme Court. Major political parties: Mauritius Labor Party, MSM (Militant Socialist Movement), MMM (Mauritian Militant Movement) and PMSD (Parti Mauricien Social Democrate). Defense (2006): 0.3% of GDP. GDP (2010 est., official exchange rate): $9.496 billion. Per capita income (2010 est., purchasing power parity): $13,670. Avg. inflation rate (2010 est. ): 2.9%. Agriculture (3.6% of GDP): Products: sugar, sugar derivatives, tea, tobacco, vegetables, fruits, flowers, cattle, and fishing. Manufacturing, including export processing zone (18% of GDP): Types — labor-intensive goods for export, including textiles and clothing, watches and clocks, jewelry, optical goods, toys and games, and cut flowers. Tourism sector (7% of GDP): Main countries of origin — France, including nearby French island Reunion, South Africa, and west European countries. Financial services: 10% of GDP. Trade: Exports (2010 est. ): $2.186 billion f.o.b. : textiles and clothing, sugar, canned tuna, molasses, watches and clocks, jewelry, optical goods, travel goods and handbags, toys and games, and flowers. Major markets — Europe and the U.S. Imports (2010 est.) — $4.298 billion f.o.b. : manufactured goods, capital equipment, foodstuffs, petroleum products, chemicals, meat, dairy products, fish, wheat, rice, wheat flour, vegetable oil, iron and steel, cement, fertilizers, and textile industry raw materials. Major suppliers — India, France, South Africa, China, Japan, Australia. Fiscal year: January 1 - December 31. While Arab and Malay sailors knew of Mauritius as early as the 10th century AD and Portuguese sailors first visited in the 16th century, the island remained uninhabited until colonized in 1638 by the Dutch. Mauritius was populated over the next few centuries by waves of traders, planters and their slaves, indentured laborers, merchants, and artisans. The island was named in honor of Prince Maurice of Nassau by the Dutch, who abandoned the colony in 1710. Mauritian Creoles trace their origins to the plantation owners and slaves who were brought to work the sugar fields. Indo-Mauritians (primarily Hindus, but also Muslims and Christians) are descended from immigrants who arrived in the 19th century from the Indian subcontinent to work as indentured laborers after slavery was abolished in 1835. Franco-Mauritians still control most of the large sugar estates and are active in business and banking. As the Indo-Mauritian population became numerically dominant and the voting franchise was extended, political power shifted from the Franco-Mauritians and their Creole allies to the Indo-Mauritian Hindus. Elections in 1947 for the newly created Legislative Assembly marked Mauritius' first steps toward self-rule. An independence campaign gained momentum after 1961, when the British agreed to permit additional self-government and eventual independence. A coalition composed of the Mauritian Labor Party (MLP), the Muslim Committee of Action (CAM), and the Independent Forward Bloc (IFB) — a traditionalist Hindu party — won a majority in the 1967 Legislative Assembly election, despite opposition from Franco-Mauritian and Creole supporters of Gaetan Duval's Mauritian Social Democratic Party (PMSD). The contest was interpreted locally as a referendum on independence. Following a period of communal strife, brought under control with assistance from British troops, Sir Seewoosagur Ramgoolam, MLP leader and chief minister in the colonial government, became the first prime minister at independence, on March 12, 1968. Mauritian politics are vibrant and characterized by coalition and alliance building. All parties are centrist and reflect a national consensus that supports democratic politics and a relatively open economy with a strong private sector. Mauritius became a republic on March 12, 1992. The most immediate result was that a Mauritian-born president became head of state, replacing Queen Elizabeth II. Under the amended constitution, political power remained with parliament, with the office of the president being largely ceremonial. Indeed, it is the National Assembly that selects the president rather than a direct election. The Council of Ministers (cabinet), responsible for the direction and control of the government, consists of the prime minister (head of government, who is also the leader of the majority party in the legislature), and about 24 ministers. The unicameral National Assembly has up to 70 deputies. Sixty-two are elected by universal suffrage, and as many as eight "best losers" are chosen from the runners-up by the Electoral Supervisory Commission using a formula designed to give at least minimal representation to minority ethnic communities. Elections are scheduled at least every 5 years. Parliamentary elections were last held in May 2010. The next elections are expected to be held in 2015. Mauritian law is an amalgam of French and British legal traditions. The Supreme Court — a chief justice and 18 other judges — is the highest judicial authority. There is an additional right of appeal to the Queen's Privy Council in London. Local government has nine administrative divisions, with municipal and town councils in urban areas and district and village councils in rural areas. 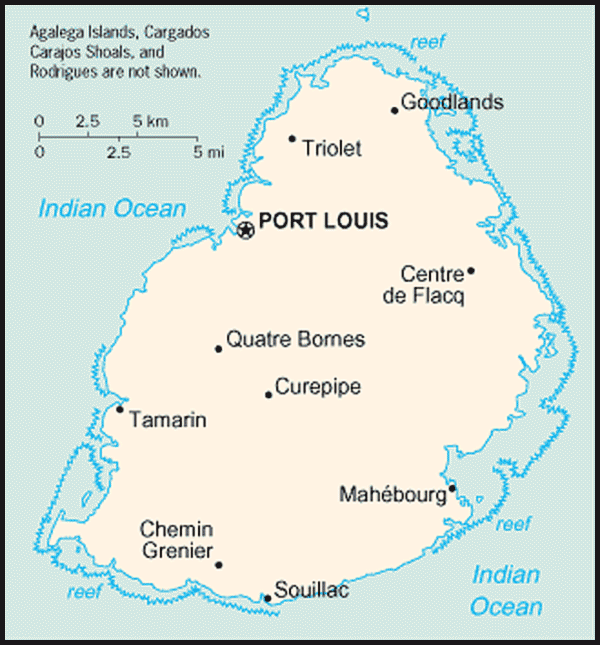 The island of Rodrigues forms the country's 10th administrative division. Alone or in coalition, the Mauritius Labor Party (MLP) ruled from 1947 through 1982, returning to power from 1995 to 2000, and again regaining power in 2005. From 1982 through 1995, power was in the hands of the Mauritian Militant Movement (MMM), the Mauritian Socialist Party (PSM), and the Militant Socialist Movement (MSM) in various combinations and alliances. In December 1995, the MLP returned to power, this time in coalition with the MMM. Labor's Navinchandra Ramgoolam, son of the country's first prime minister, became prime minister himself. Ramgoolam dismissed his MMM coalition partners in mid-1997, leaving Labor in power with several small parties allied with it. Elections in September 2000 saw the re-emergence of the MSM-MMM as a winning alliance, and Sir Anerood Jugnauth once again became the prime minister with the caveat that mid-term, the leader of the MMM party would take over as prime minister and Prime Minister Jugnauth would become the next President of the Republic. In September 2003, in keeping with the campaign promise which forged the coalition, Jugnauth stepped down as Prime Minister and Deputy Prime Minister Paul Raymond Berenger became Prime Minister. One month later, the Berenger-led National Assembly elected Sir Anerood Jugnauth as President of the Republic. Berenger became the first Catholic, Franco-Mauritian to head the government. The move created a historic precedent of having a non-Hindu, non-majority member head the national government. The 2005 parliamentary elections returned Navinchandra Ramgoolam to office as prime minister, and he retained that position following the 2010 elections. Mauritius ranked first among all African countries in the 2011 Ibrahim Index, a product of the Mo Ibrahim Foundation that measures the effective delivery of public goods and services to citizens in Africa. The index ranked 53 African countries according to four over-arching dimensions: Safety and Rule of Law, Participation and Human Rights, Sustainable Economic Opportunity, and Human Development. Mauritius has one of the most successful and competitive economies in Africa; 2010 GDP at market prices was estimated at $9.5 billion and per capita income at $7,420, one of the highest in Africa. The economy is based on tourism, textiles, sugar, and financial services. In recent years, information and communication technology, seafood, hospitality and property development, healthcare, renewable energy, and education and training have emerged as important sectors, attracting substantial investment from both local and foreign investors. Mauritius's economy suffered at the turn of the millennium as longstanding trade preferences in textiles and sugar — the foundation of its growth strategy — were phased out. 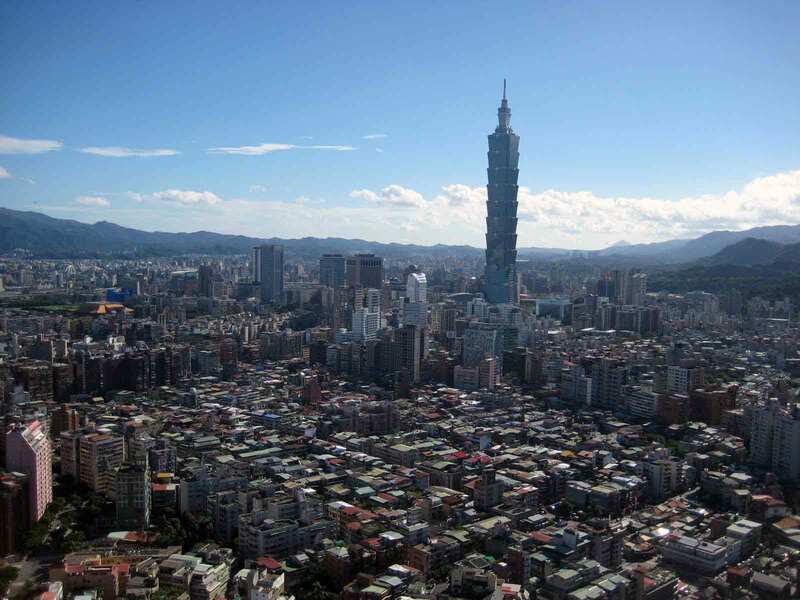 In 2005, the government embarked on an economic reform program aimed at opening up the economy, facilitating business, improving the investment climate, and mobilizing foreign direct investment and expertise. These reforms accelerated the rate of growth, reduced unemployment, and sped up the pace of diversification of the economy through the development of new sectors. All of these factors contributed to absorb the shock of the global economic recession as well as the Eurozone crisis and set the stage for Mauritius to resume accelerated growth in 2010. GDP growth is forecast at 4.1% in 2011, compared with 4.2% in 2010. Mauritius has built its success on a free market economy. According to the 2010 Index of Economic Freedom, developed by the U.S.-based Heritage Foundation and the Wall Street Journal, Mauritius leads sub-Saharan Africa in economic freedom and is ranked 12th worldwide. The report's ranking of 183 countries is based on measures of economic openness, regulatory efficiency, rule of law, and competitiveness. For the fourth consecutive year, the World Bank's 2012 Doing Business report ranks Mauritius first among African economies (23rd worldwide, out of 183 economies in all) in terms of overall ease of doing business. The government's objective is for Mauritius to rank among the top 10 most investment- and business-friendly locations in the world. Mauritius has a long tradition of private entrepreneurship, which has led to a strong and dynamic private sector. Firms entering the market will find a robust legal and commercial infrastructure. Mauritius has a well-developed digital infrastructure with state-of-the-art telecommunications facilities including international leased lines and high-speed Internet access. Government policy is to act as a facilitator to business, leaving production to the private sector. However, it still controls key utility services — including electricity, water, waste water, postal services, and television broadcasting — directly or through parastatals. The government also controls, through the State Trading Corporation, the import of what it deems to be strategic products such as rice (only non-basmati or other non-luxury rice), wheat flour, petroleum products, and cement. Mauritius has strong and friendly relations with the international community, including with India and the countries of southern and eastern Africa. It is a member of the African Union (AU), World Trade Organization (WTO), the Commonwealth, La Francophonie, the Southern African Development Community (SADC), the Indian Ocean Commission, the Common Market for Eastern and Southern Africa (COMESA), and the Indian Ocean Rim Association. Trade, commitment to democracy, colonial and cultural ties, and the country's small size are driving forces behind Mauritian foreign policy. The country's political history and dependence on Western markets have led to close ties with the European Union and its member states, particularly the United Kingdom and France, which exercises sovereignty over neighboring Reunion. Considered part of Africa geographically, Mauritius has friendly relations with other African states in the region, particularly South Africa, by far its largest continental trading partner. Mauritian investors have gradually begun entering African markets, such as nearby Madagascar and Mozambique (though the pace of investment in Madagascar has cooled considerably since the 2009 coup d'état in that country). 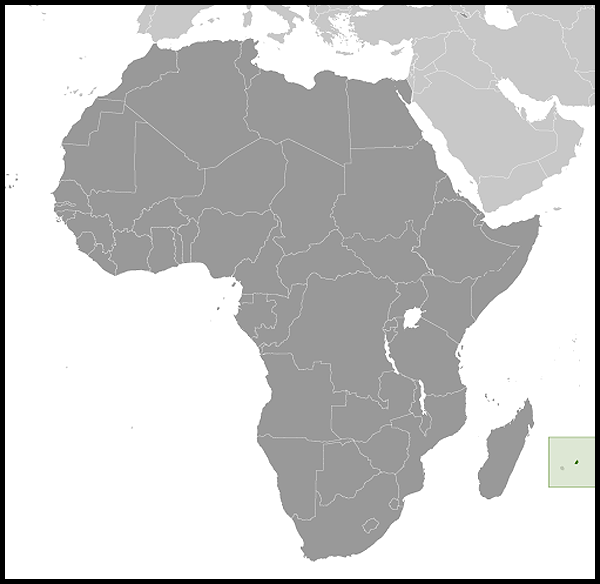 Mauritius coordinates much of its foreign policy with the Southern African Development Community and the African Union. Relations with India are strong for both historical/cultural and commercial reasons. Foreign embassies in Mauritius include Australia, China, Egypt, France, India, Libya, Madagascar, Pakistan, Russia, South Africa, the United Kingdom, and the United States. Mauritius does not have a standing army. All military, police, and security functions are carried out by approximately 10,000 active-duty personnel under the command of the Commissioner of Police. The 8,000-member National Police is responsible for domestic law enforcement. The roughly 1,200-member Special Mobile Force (SMF) and the roughly 740-member National Coast Guard are the only two paramilitary units in Mauritius. Both units are composed of police officers on lengthy rotations to those services. The SMF is organized as a ground infantry unit and engages extensively in civic works projects. The Coast Guard, led by a detailee from the Indian Navy, has four patrol craft for search-and-rescue missions and surveillance of territorial waters, and 41 small craft for coastal surveillance and search and rescue. The Coast Guard is also equipped with three aircraft (two Dornier and one Defender aircraft). A 90-member police helicopter squadron assists in search-and-rescue operations. There also is a special supporting unit of nearly 400 personnel trained in riot control. Military advisers from the United Kingdom and India work with the SMF, the Coast Guard, and the Police Helicopter Unit, and Mauritian police officers are trained in the United Kingdom, India, and France. The United States provides training to Mauritian security officers in such fields as counterterrorism methods, forensics, seamanship, and maritime law enforcement. In May 2010, the U.S. Government donated three Safeboat Harbor Patrol boats with an estimated value of $1.1 million to the Government of Mauritius. Relations between the United States and Mauritius are cordial and revolve largely around trade and investment. The United States is Mauritius' third-largest market but ranks 13th in terms of exports to Mauritius. Principal imports from the United States include plastic articles, agricultural/construction/industrial machinery and equipment, medical and surgical instruments, precious stones and jewelry, aircraft parts (for Air Mauritius), automatic data processing machines, casino slot machines, outboard motors, books and encyclopedias, and industrial chemicals. Mauritian exports to the United States include apparel, sugar, non-industrial diamonds, jewelry articles, live animals, sunglasses, processed specialty foods, rum, and cut flowers. Mauritian products that meet the rules of origin are eligible for duty- and quota-free entry into the U.S. market under the African Growth and Opportunity Act. In September 2006, the Governments of Mauritius and the United States signed a Trade and Investment Framework Agreement to remove impediments and further enhance trade and investment relations between the two countries. Negotiations for a Bilateral Investment Treaty are ongoing. More than 200 U.S. companies are represented in Mauritius. About 25 have offices in Mauritius, serving the domestic and/or the regional market, mainly in the information technology, textile, fast food, express courier, and financial services sectors. U.S. brands are sold widely. Several U.S. franchises, notably Kentucky Fried Chicken, Pizza Hut, and McDonald's have been operating for a number of years in Mauritius. The United States funds a small military assistance program. The Embassy also manages development assistance funds, special self-help funds for community groups and nongovernmental organizations, and a democracy and human rights fund.